The early 70’s produced some of the best race cars on the planet. 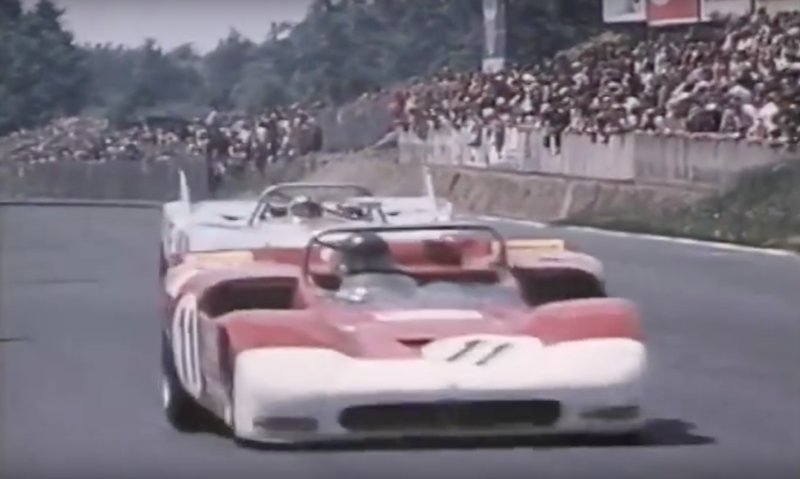 Porsche was going nuts with the 908 and Ferrari was still running the 512 and had just unveiled the 312PB but it was no match for the Porsche’s. Alfa was competing with the T33 but Porsche still took the top spots at the finish. The race was extremely tough on the cars and drivers – of the 51 that started only 31 finished the race. The Ferrari 312PB of Jacky Ickx and Clay Regazzoni qualified on pole but Derek Bell and Jo Stiffert were the favorites in their Gulf 908. 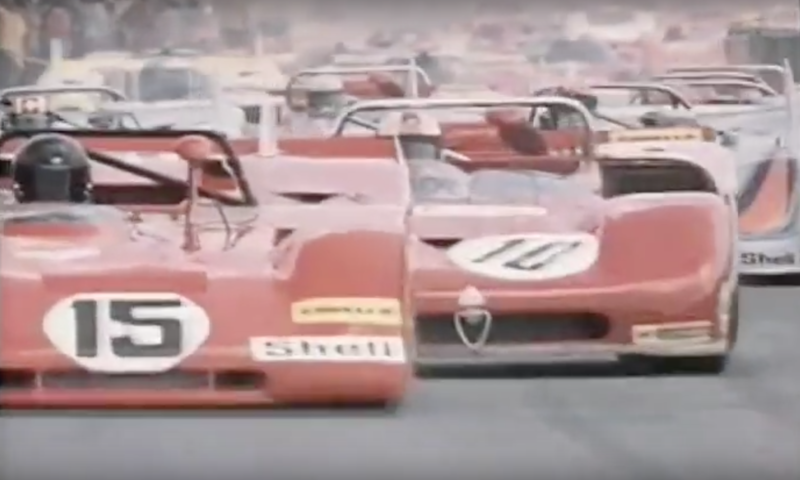 Both cars DNF’d – the Ferrari from overheating and the 908 due to a chassis “problem.” Vic Eldord and Gerard Larrousse won the race in their Martini 908 and Rolf Stommelen and Nanni Galli finished 2nd in their Alfa T33. Pedro Rodriguez and Jo Siffert finished 3rd in their 908. Unfortunately this video is not in English but there’s not that much footage of the 1971 1000km of the Ring so this all we have. Enjoy.